If wine grapes were named after jazz vocalists, Sauvignon Blanc would almost certainly be named Aretha Franklin. Sassy and vibrant in style, Aretha hits the high notes with an electric, nervy edge. She shoots straight and has attitude. You can expect nothing less from Sauvignon Blanc. Sauvignon Blanc is a snappy, zesty grape, full of aromatic personality. It is grown around the world and has a unique personality and taste in each region. Because of its high acidity and crisp, clean taste, it is a great wine to drink with food. 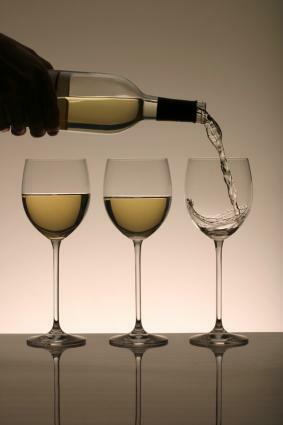 Its popularity and inimitable style make Sauvignon Blanc one of the world's favorite grapes. Sauvignon Blanc has a distinctive taste profile. Though you may wince to learn its flavor is often described as "cat's pee on a gooseberry bush," take heart: you may actually enjoy this herbaceous, green fruit quality. Note the other common descriptors for the wine listed below. Traditionally, quality Sauvignon Blanc was from the Loire Valley in France, where it was labeled as Sancerre or Pouilly-Fume. Today, this lively grape is cultivated all over the world, with great wine coming from California (where it is also called Fume Blanc), Washington, Chile, South Africa, Australia, Austria, and New Zealand. No Sauvignon Blanc tastes like all of the flavor descriptions listed above. Each wine you try might have three or four of those flavors, but no one Sauvignon Blanc has them all. Though the winemaker's choices are important - especially decisions regarding oak usage and pruning of the vines - the greatest stylistic variations among the wines are regional. All grapes are affected by the climate, soil, and location in which they are grown. The French call this "terroir," and it refers to the intimate connection between the land and the wine. Sauvignon Blanc has a unique taste profile in the different places it is cultivated. Let's talk about climate differences first. Grapes don't ripen as fully in cooler climates as they do in warm climates. A cooler climate, like the Loire Valley, produces wine with high acidity and low to moderate alcohol. The resulting wine will tend to have lean, crisp flavors like grapefruit, lemon, and grass. In a warmer climate like California, grapes achieve a greater degree of ripeness, which means more alcohol and less acidity in the wine. The flavor profile for this warm climate wine is richer, with pear, melon, fig, and, if oak is used, toast flavors. Generally speaking, Sauvignon Blanc thrives in cooler climates. It is a vigorous variety in any climate, though, which requires the winemaker to trim and prune the vines and leaves so that the grapes are exposed to the sun. This is called "canopy management." If the winemaker doesn't give the grapes and leaves adequate access to sunlight, the wine can take on a strongly vegetative note (think canned asparagus). A region's soil can also influence the flavor of the wine. For example, the Loire Valley's chalky soil creates a flinty, mineral taste in the wine. On marl soil, in New Zealand, the wine achieves bright grapefruit flavors. And in Bordeaux (where Sauvignon Blanc is used for blending with Semillon), the gravelly soil yields herbaceous notes in the wine. Sauvignon Blanc is a great wine to serve with food! As a light- to medium-bodied wine, it happily belongs at the beginning of a meal, setting the stage for the fuller-bodied wines to come. Its high acid and fresh, piercing style are a fantastic match for many first courses such as soups, salads, and appetizers. Sauvignon Blanc also works well with foods that are difficult to pair wine with, like green vegetables and spicy dishes. The naturally herbaceous quality of the wine makes it delicious with fresh herbs. A high natural acidity enables it to stand up to foods with higher acidity, like goat cheese, tomatoes, and yogurt. A wine with less acidity would taste flabby in comparison. Finally, to learn how to identify the different flavors in Sauvignon Blanc, try a Sancerre next to a New Zealand or California Sauvignon Blanc. Keep in mind that it is not a wine meant for aging; buy recent vintages for your tasting. Notice the Sancerre's crisp lemon, flint, and mineral qualities, and compare them with the more aggressively fruity, green vegetable tastes in the New World wine. Cheers!